Our guide will show you how to prevent littles from making purchases on (and in) Android mobile apps and games. Many of the most popular mobile games are free-to-play, meaning they’re free to download, but (typically) allow users to spend money on optional in-app purchases. Kids may accidentally spend money on these items without realizing what they’re doing, so we’re here to help you stop that from happening. As reported by The New York Times, Google’s Family Link platform (available as a mobile app and on the web) offers parental controls that allow parents to limit the apps their children download, as well as manage in-app purchases (though children themselves can opt-out of these restrictions once they turn 13). As The New York Times also pointed out, parents can also take steps to limit purchases directly in Google’s Play Store application. 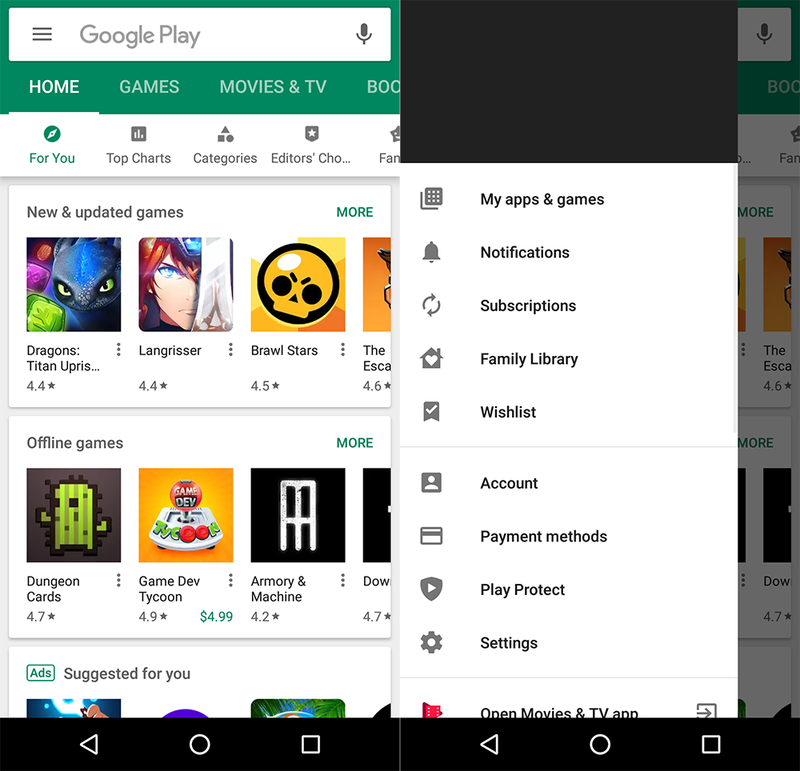 Follow these steps to prevent unauthorized in-app purchases and app downloads for apps downloaded from the Google Play Store. Please note that this won’t prevent unauthorized purchases in apps like Fortnite, which are not downloaded through the Play Store and are therefore unaffected by its regulations. Tap the three horizontal lines in the top-left corner of the screen, and then tap "Settings." 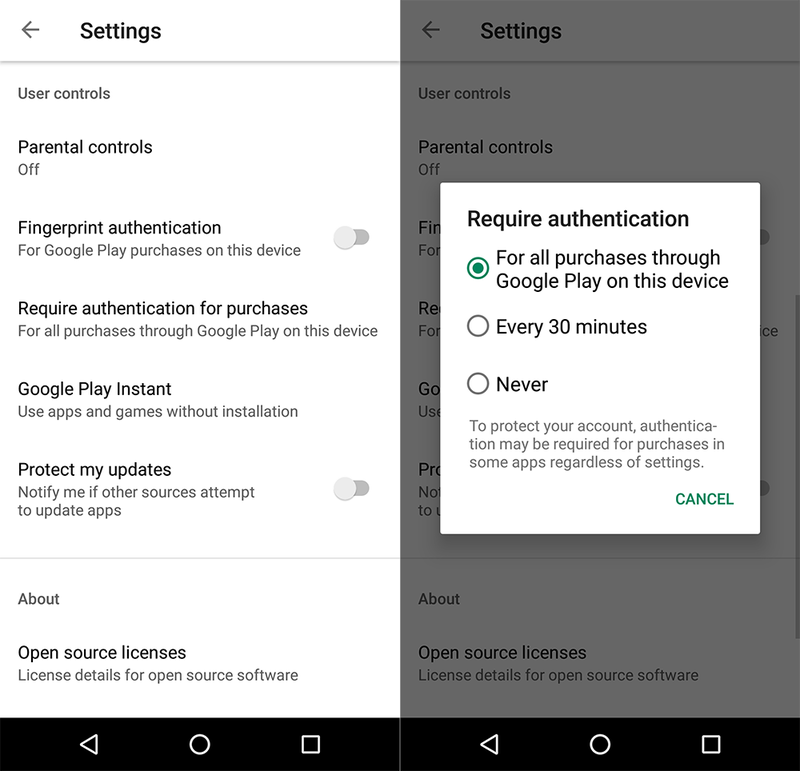 Scroll down to the “User controls” section and tap “Require authentication for purchases.” Make sure “For all purchases through Google Play on this device” is selected. This will require you to enter the password on the device’s Google account before a purchase can be made through the Google Play Store. 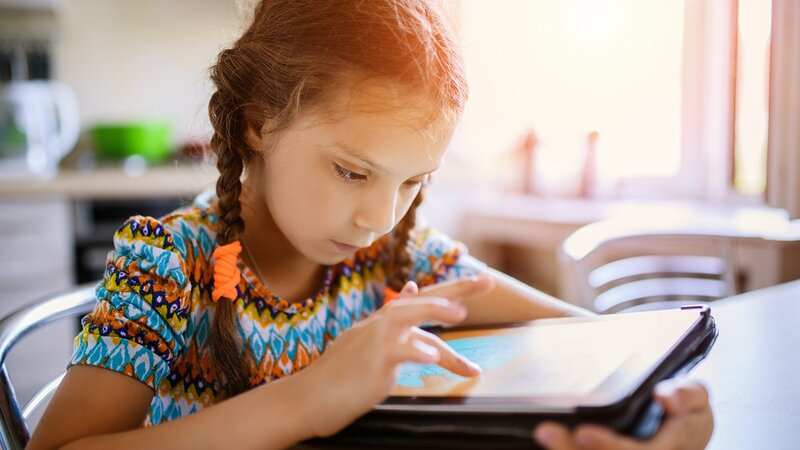 For this system to work, you’ll need to make sure the Google account on the device has a password that your children don’t know, and won’t be able to figure out. If you want or need to change the password on the device’s Google account, follow these steps.